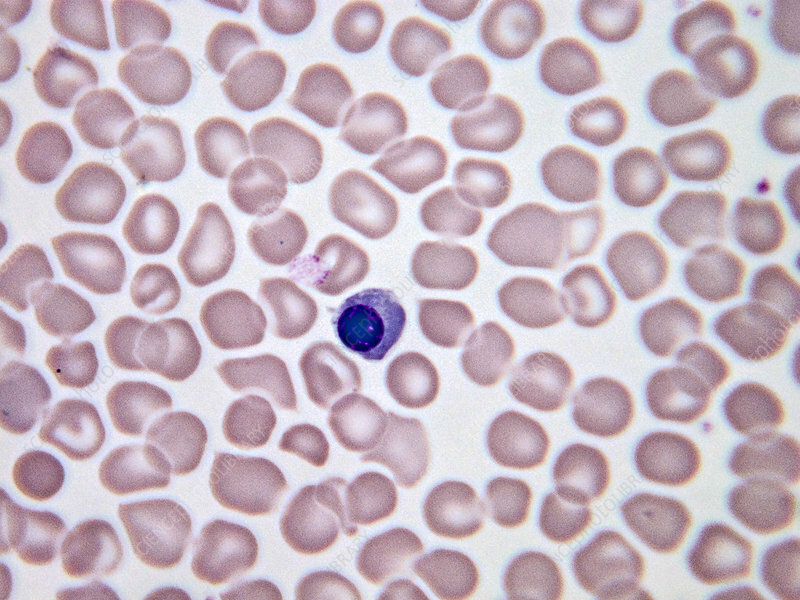 One immature erythrocyte indicated by the presence of the nucleus and basophilic cytoplasm. Light micrograph, Wright-Giemsa stain. Magnification: 100x.